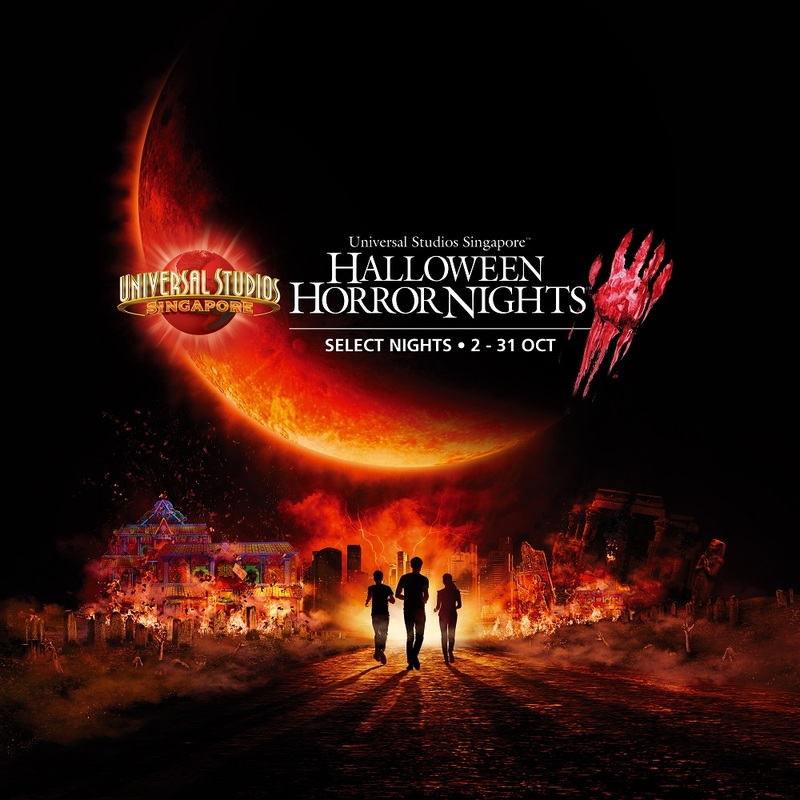 This October 2015, Universal Studios Singapore is going to unleash unique Singapore terrors, set to bring your scariest nightmares to life once again. in three locally themed haunted houses with the fourth house featuring an intense underground experience. Halloween Horror Nights 5 will feature four haunted houses and three scare zones throughout the theme park. Starting from 2nd October 2015 for 14 nights across five weekends. A gargantuan extraterrestrial race called the Horde is using the cover of the eclipse to invade Earth! These sightless, ruthless monsters have opened a Portal to swamp our cities, and will stop at at nothing until our planet has been laid waste! A secret colony code-named Sector #5 was set up by the government to quarantine the deformed and the diseased. Left to fend for themselves, they have developed a bloodlust for their oppressors, which the Blood Moon is stoking to a fever pitch. The Blood Moon has wreaked havoc on the Lunar Calendar! In this forsaken village it is eternally the Seventh Month, and villagers perform rituals of the Hungry Ghost Festival every night. Are they apparitions, or have you have “crossed over” without realizing it? An underground train station built at a Malay burial site is torn asunder as a curse is fulfilled by the rise of the Blood Moon. Toyols, hantu rayas and pontianaks now stalk for victims, as the tracks lead you back in time, to the author of the curse and his murderous henchmen. Make yourself at home. But be warned: the Blood Moon has awakened the Paper Servants of the Effigy House and you will soon be feeling the heat, because everything here is made to be burnt! Dwelling in the darkness of subterranean passageways, the Tunnel People have been biding their time for the rise of the Blood Moon. They highly disapprove the presence of trespassers. If you get caught, you will suffer from excruciating consequences. As you feel your way into their forbidding domain, what horrors await, and will you be able to see them? The HHN-5 virus is turning residents of a HDB block into rampaging, flesh-eating zombies! Emergency Services has been brought in to contain the situation, but it may all be in vain! Can you find your way out through the carnage, as heartland turns into hell? Early Bird price valid till 31 August 2015. Flash your Annual Pass at any Universal Studios Singapore ticket booth. Flash your RWS Invites card at any Universal Studios Singapore ticket booth. Flash your student pass or member card at any Universal Studios Singapore ticket booth. Upgrade your Universal Studios Singapore Day-Pass to an event ticket. Return as many times as you dare on 14 nights. Receive priority access to all haunted houses and event attractions. Exclusive R.I.P. Tour features a guided tour through all scare zones, VIP access to hair-raising haunted houses and rides as well as other benefits, such as photo opportunities with scare actors and some discounts at F&B and retail outlets. Tickets can be purchase from Universal Studios Singapore ticket booth and online from 28 July 2015. For further information and to buy event tickets, visit HHN5 website. * Halloween Horror Nights 5 may be too intense for young children and is not recommended for children under the age of 13. No costumes or masks are allowed.